The Districts Are Mostly White. The Candidates Are Not. | The New York Times A decade after the election of America’s first black president, Ms. Underwood and several other African-American, Hispanic and minority candidates for Congress are facing a major test this fall: whether they can win in districts where white voters make up the majority of the electorate. NORTH AURORA, Ill. — Most of the room’s occupants looked nothing like Lauren Underwood, but no one seemed to care. 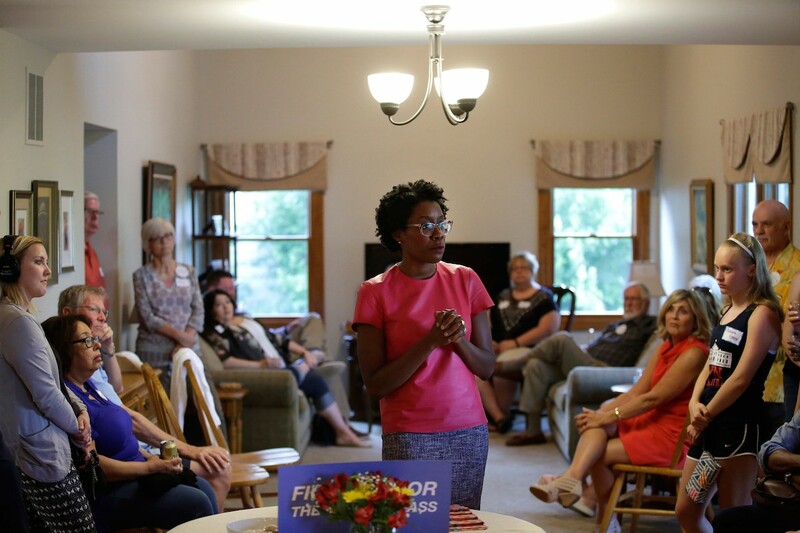 Ms. Underwood, the Democratic congressional nominee in northern Illinois’s pivotal 14th District, flowed effortlessly from person to person at a meet-and-greet last month, confident in her belief that she, a 31-year-old black woman, was best suited to represent a community that is overwhelmingly white. Kathy Birkett, a former school superintendent who came to the event to support Ms. Underwood, said the candidate’s ideas about health care and reducing gun violence are what helped her draw support from a cross-section of voters in the district. Of the 14 self-identified racial minorities that Democrats say are running in competitive districts in November, four are black and four are women. Ms. Underwood is the only black woman. Joshua Lott for The New York Times. “When you’re top notch, you’re top notch — and I don’t think that has anything to do with color,” she said. A decade after the election of America’s first black president, Ms. Underwood and several other African-American, Hispanic and minority candidates for Congress are facing a major test this fall: whether they can win in districts where white voters make up the majority of the electorate. Like Barack Obama, these contenders — most of them Democrats — often strain to avoid explicit discussions of race out of fear of alienating white voters, which stands in contrast to the uncompromising insurgent challengers that have taken hold in the post-Obama era like Alexandria Ocasio-Cortez, the New York House candidate, or Stacey Abrams, the Democratic nominee for governor of Georgia.